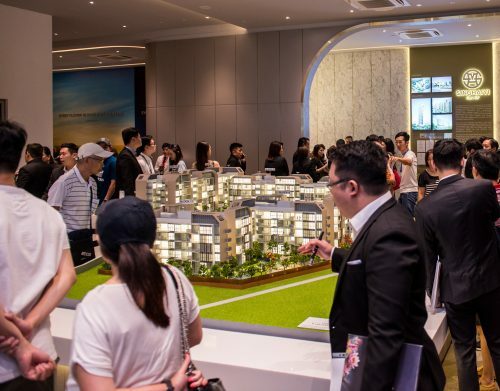 The bar for landed living has been set a notch higher as City Developments Limited (CDL) and joint venture partner Hong Realty (Private) Limited unveiled its latest development, HAUS@SERANGOON GARDEN during the weekend. 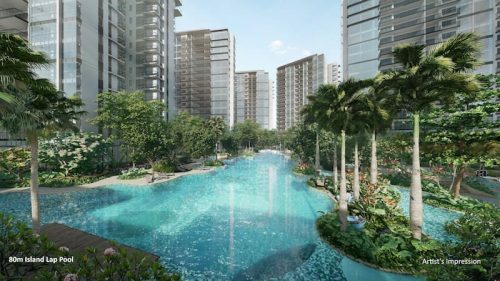 The well-loved Serangoon Gardens residential enclave, long known for its quaint and tranquil surroundings, will house 97 terraces which offer homeowners the things that matter most – luxury, space and convenience. At the weekend preview, 28 out of 40 units launched (70%) in Phase 1 were sold. 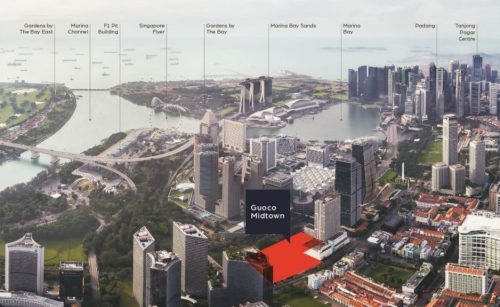 Prices begin from S$2.4 million for a 1,615 sq ft land intermediate terrace unit, and start from S$2.8 million for a 2,284 sq ft land corner terrace. The profile of buyers comprised mainly professionals – 75% were aged 45 and above, while the rest were in their mid-30s to 40s. About 40% of the buyers already reside in the vicinity presently. With landed housing space becoming increasingly rare, and even more so in well-established neighbourhoods, HAUS@SERANGOON GARDEN is set to attract those who value the centricity and prestige of living in charming Serangoon Gardens. Within the grounds of this exclusive estate, a serene atmosphere awaits as the roads are flanked with lush landscaping to create a picture-perfect welcome. Comprising 18 corner and 79 intermediate terraces, all houses at HAUS@SERANGOON GARDEN are two-storeys high with an attic and basement. Personalization is the key at this unique development and buyers are spoilt for choice. They can select from two architectural facades: Zen Haus and Cosmopolitan Haus. The former offers a pristine and minimalist outlook while the latter is understatedly chic. Most homebuyers can customize their front porch into a garden, or opt to turn it into parking space for two cars. Select corner terraces will also have pool facilities. Each terrace is generously proportioned, affording homeowners the luxury of expansive space with high ceilings. The houses comprise five good-sized bedrooms mostly with en-suite bathrooms; a family/entertainment area which can be converted to a personal home theatre, library or home office; spacious, seamless living and dining room space; as well as an openriser staircase that allows natural light to permeate through. In addition, the highlight of the attic level is the open roof terrace, where homeowners can either relax in the privacy of their own jacuzzi or transform this space into an outdoor extension of the family area to host gatherings and private parties. All the houses are oriented in a North-South direction optimised for exposure to breeze. Luxe home fittings and sleek finishes from Hansgrohe and Duravit; together with a fully-equipped dry and wet kitchen decked out in appliances like a wine chiller, dishwasher and refrigerator from trusted brands like Bosch and Mitsubishi, complete the unrivalled luxury living experience of HAUS@SERANGOON GARDEN. CDL is familiar with the Serangoon Gardens area, having launched Goldenhill Villas, a freehold terraced-housing development in 2004. This highly sought after neighbourhood enclave has also seen a steady appreciation in prices over time. 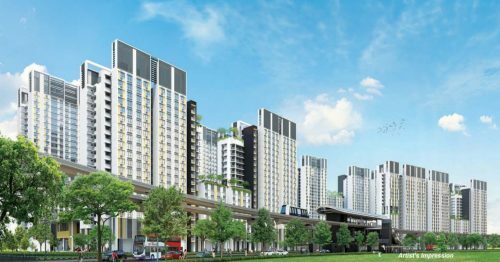 Besides promising to be a quality landed home, HAUS@SERANGOON GARDEN also has the honour of being the first ever landed housing estate in Singapore to win the top-tier Building and Construction Authority (BCA) Green Mark Platinum award. Designed with environmental sustainability as a key consideration, the development extensively uses both passive and active green building approaches to ensure a comprehensive sustainable design from the onset. The result of this means home owners of HAUS@SERANGOON GARDEN – depending on individual lifestyle and utility usage patterns – stand to achieve up to 40% utility savings for each typical terrace house. Every unit comes with a 1 kilowatt-peak photovoltaic (PV) system installed on its roof. This generates solar power that off-sets the grid electricity consumed by appliances such as the refrigerator provided in each house. In support of the Singapore Government’s initiatives for green transport to reduce carbon emissions, and to cater for an anticipated demand in Electric Vehicles (EV), each house will also come equipped with a socket outlet suitable for EV charging.